Teaching kids to have a healthy relationship to food is a great opportunity to help them grow into other life skills. 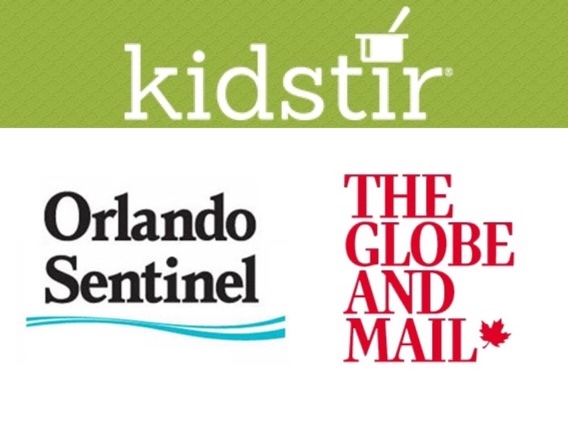 This week we spotted a couple of news articles illustrating how kids can learn through cooking. The author of the article, Katie Parsons, discusses age appropriate activities such as infants observing meal preparation from their high-chair. Toddlers can help by washing fruits and vegetables or measuring dry ingredients. 4-5 year-olds can help by rolling out dough, cracking eggs, setting a timer, peeling hard-boiled eggs and pressing buttons on the dishwasher. Grade school age kids can do some tasks involving the stove, oven and knives” and even preparing entire meals. Toddlers can hone their fine-motor skills, stirring, whisking, rolling, sprinkling and, yes, even cutting with a plastic knife. As children learn to talk and reason, they’ll be refining their communication and early math skills, reading and measuring. As kids get older, teaching them basic knife and fire-safety skills will give them self-confidence and autonomy in the kitchen. Dietician Erin MacGregor quoted in the Globe & Mail. We’re big believers in kids learning life skills through cooking and the kitchen can be a wonderful classroom. Kids can learn math, science, reading and creativity while helping in the kitchen. Kids can learn about where their favorite foods grow and what types of foods children have for breakfast all around the world.